Prime Ticket will debut a special one-hour original program highlighting Clippers forward Paul Pierce on April 12 at approximately 10:30 p.m., immediately following coverage of the Clippers’ final regular season game against the Sacramento Kings. The special “Spotlight: Paul Pierce” will look back at Pierce’s start in Inglewood to the University of Kansas and go in-depth on his extensive NBA career, including his NBA Championship year in Boston in 2008. Pierce collected 10 points in the 125-96 win over Houston, moving him past former Celtic John Havlicek to 15th on the NBA career scoring list with 26,397 points. 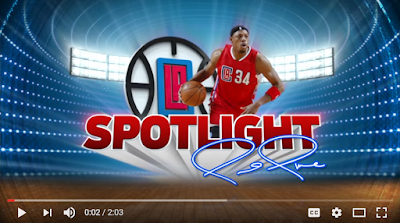 With tomorrow’s debut of “Spotlight: Paul Pierce,” the season finale of “Clippers Weekly” will move to 6:30 p.m., prior to “Clippers Live” pre-game show. Prime Ticket can be found on the following channels – AT&T Uverse: 1774, Cox: 1036/1063/1054, DIRECTV: 693, Dish: 411, Frontier: 577, Google Fiber: 205, Spectrum: 738 and Spectrum (formerly Time Warner Cable): 321. For all other channel placements, viewers are asked to contact their provider.